Lately I’ve been walking through life on the rhythm of Kwabs’ baritone voice. He recently released his addictive debut Love + War on Deezer and it’s been pretty much on repeat since I first clicked “play”. Normally I refrain from playing a song I like too often, because I don’t want to risk getting tired of it. Kwabs’ Love + War album however is so diverse, it doesn’t get old. It has so many layers and covers so many different styles, it keeps fitting every mood and still surprises. It varies from poppy tunes (you might get some boysband flashbacks when listening to Fight for Love, don’t know why, I just did), to classic R&B (with nineties and early nillies influences), to deep soul. Instant classic if you ask me. Most of you might already know “Walk”. It has hit the radio charts hard. Listening to the CD it won’t be the only one of his songs that will demand airplay, they’re all radio-ready. If you haven’t heard “Walk” yet, you can take a listen and look here, because the clip is easily as intriguing as the song. His lyrics tell complex stories and will speak to you again and again. Heartbreak, relationships, pride, … You usually feel more uplifted after listening to Kwabs. At least I do. Are the synths and poppy effects not your style? He has acoustic sets too. Go to YouTube and type in “Kwabs” + “original” or “stripped back” and you get pretty damn good music videos with just him, a pianist or a guitarist, and some backing vocals. At first listen he might remind you of James Blake, whose Retrograde had me mesmerized for a couple of weeks, and you would not be the only one. He even covered The Wilhelm Scream, which is pure bliss. So if you’re looking for something fresh with substance, an infectious rhythm and a voice that gets under your skin, you might want to give this guy a try. Make sure to check out Kwabs’ YouTube channel as well, because his music video’s are all works of art. The Hello, My name is Paul Smith expo had been on my to-do list for quite some time. Peeping inside the mind of creative geniuses is one of my favourite pastimes. Luckily, Paul Smith’s world is one of colourful creativity, smudges of madness, pop-up inspiration and instant happiness. Really liked how interactive the expo was. We were encouraged to take pictures, there was a carton Paul Smith to take a selfie or to pose with, and you could wander around a recreation of his atelier, his personal bureau, visit his favourite design pieces (not only clothes, also a car!) and personal photos of his muse/wife. 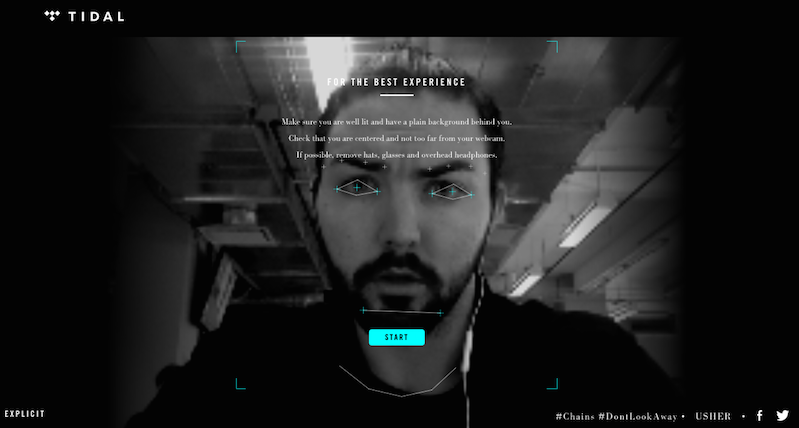 There were video and audio installations, a button and inspiration wall, and personal anecdotes and quotes. It oozed charm and cool class, very much in the style of the designer himself. Ohw yeah, to make up for being so late… There’s a giveaway attached! A DVD from Film & Fashion about Paul Smith (Paul Smith: Gentleman Designer). It’s narrated in English, but you can put Dutch subtitles. All you have to do is answer a simple question (bonus points if you like us on FB or follow us on Twitter). Contest is closed. Yeay for our lucky winner: Lynn Claerhout. After the 31st of Mars most winter shelters decided winter was officially over and started closing their doors on the thousands of homeless people who were counting on a roof over their heads, sending them back to the streets. 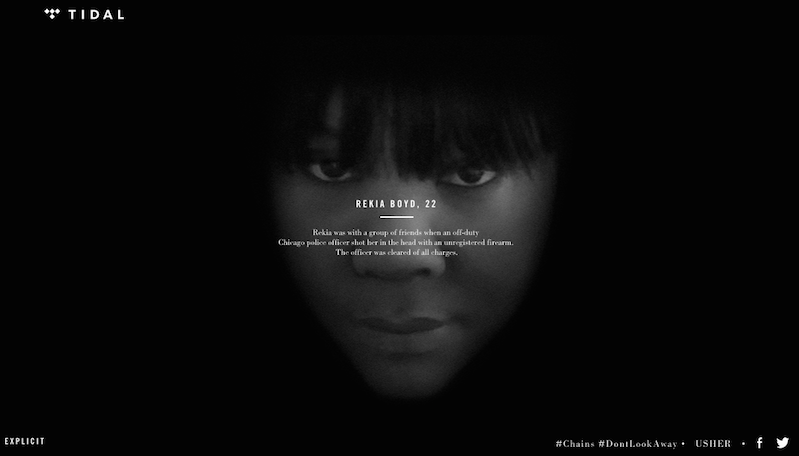 In France alone 140,000 people are affected, of which 30,000 are children. A fact Aurore, an organisation that fights against exclusion and precariousness, didn’t want to go unnoticed. So they launched a campaign to bring this appalling situation to people’s attention. It’s not because the temperatures rise, that the problem melts away. 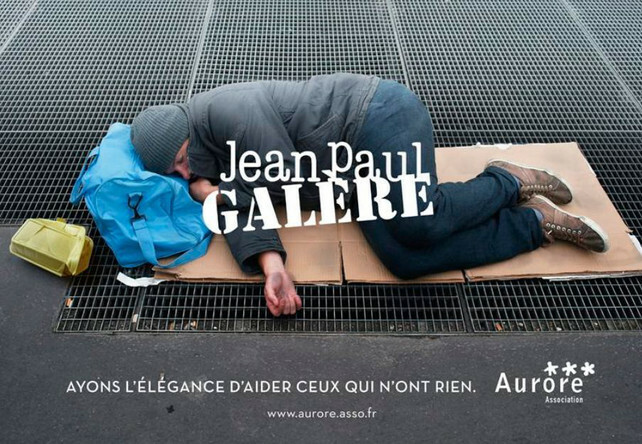 Aurore decided to raise awareness by raising visibility, using Paris’ glamorous reputation in their advantage, and showing the obvious gap between luxury brand rich and live-on-the-street poor. 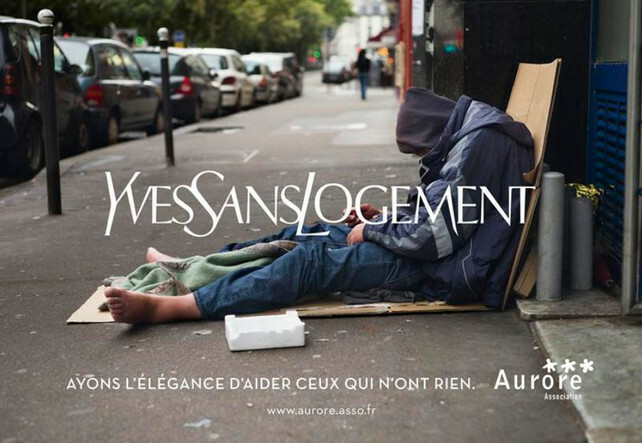 Aurore Association started hanging a thousand posters in the city center and the North and North-East of Paris, with the slogan: “Ayons l’élégance d’aider ceux qui n’ont rien” (“Be elegant enough to help those who have nothing”) printed on it. 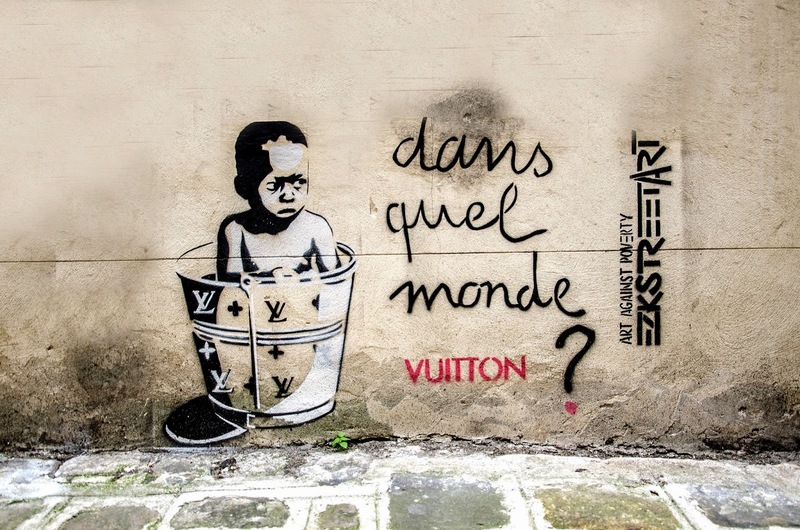 Rémi Noël, the creative mind behind the concept and execution of the poster design, uses luxury brands to get attention for the people who go unnoticed on a daily basis and to confront people with the sad reality. Noël transformed Yves Saint Laurent to “Yves Sans Logement” for the occasion. 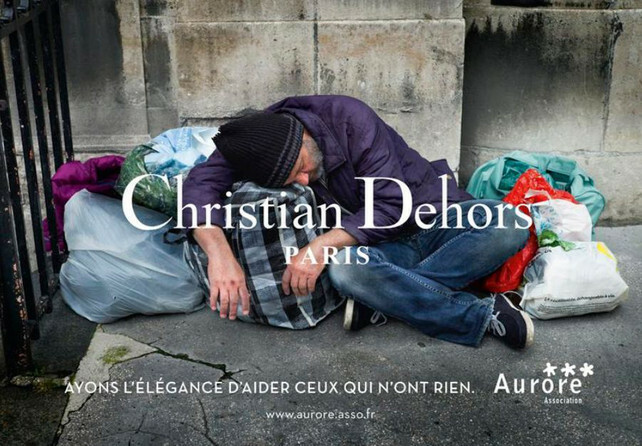 Christian Dior became “Christian Dehors”. And Jean-Paul Gaultier couldn’t be forgotten either, so he was baptized “Jean-Paul Galère”. Small detail, the luxury brands weren’t asked for permission to cooperate. So in the beginning they might not even have been aware they were part of this project. The campaign is getting good coverage and reviews. People on Twitter are using the hashtag #Ayonslélégance to express their appreciation. Like “La vraie élégance n’est pas dans les vitrines mais en regardant ceux qui sont sur les trottoirs” (“True elegance is not in the shop windows, but in noticing those who are on the sidewalks”). In the meantime, the Internet is also eagerly suggesting follow-up slogans like “Dans quel monde Vuitton”; “Hugo Bosse Pas”, transforming Nina Ricci into “Nina n’a rien”, and referring to an older parody that went viral a couple of years ago: “Je Dors Dehors”. If you feel like helping Aurore in their fight for better living circumstances and against poverty, homelessness and exclusion, visit their website (in French and English), or contact them on their Facebook page or via their Twitter account.